2015 Kymco Maxxer 450i, All new Sport performance ATV from KYMCO with all the big time 4 wheel drive features of a go-anywhere utility Quad. Featuring an 442 cc, liquid cooled engine, automatic CVT transmission, low-maintenance shaft-final-drive, shift on a fly 2WD and 4WD and our class leading sport tuned independent rear suspension to smooth out the ride, the new Maxxer will conquer any trail. 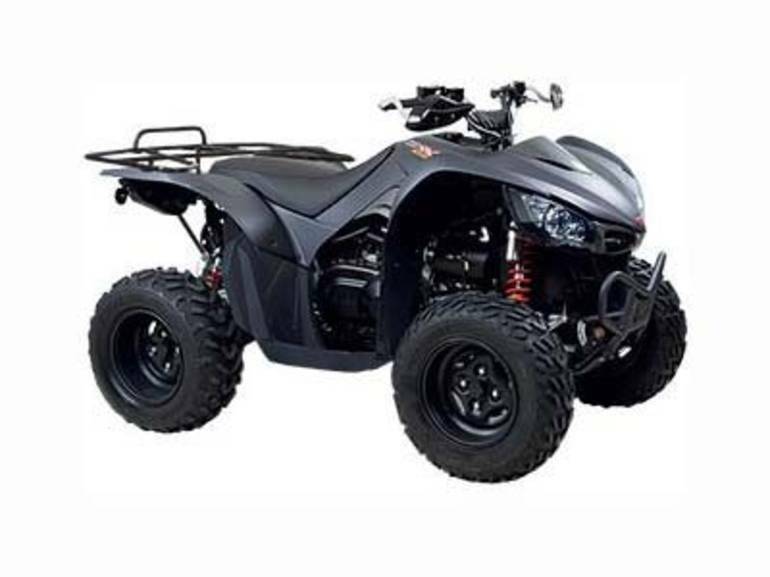 The dramatic sport race styled design and black highlighted polished aluminum alloy wheels deliver instant trackside appeal that makes this ATV stand out from the pack. When you're looking for a performance ATV with all the features you demand that will also give you years of trouble-free service and offer an exceptional value, the Maxxer 450i is one dominating ride! All Kymco pictures are kind of Kymco HD motorcycles picture was taken, including motor fuel gauge, engine, engine mounts, tires, fuel tank, the car handles, lights and so on, 2015 Kymco Maxxer 450i 450I full-screen viewing,2015 Kymco Motorcycles today Price: $6,899 .